Remote viewing and surveillance via the internet with free App. 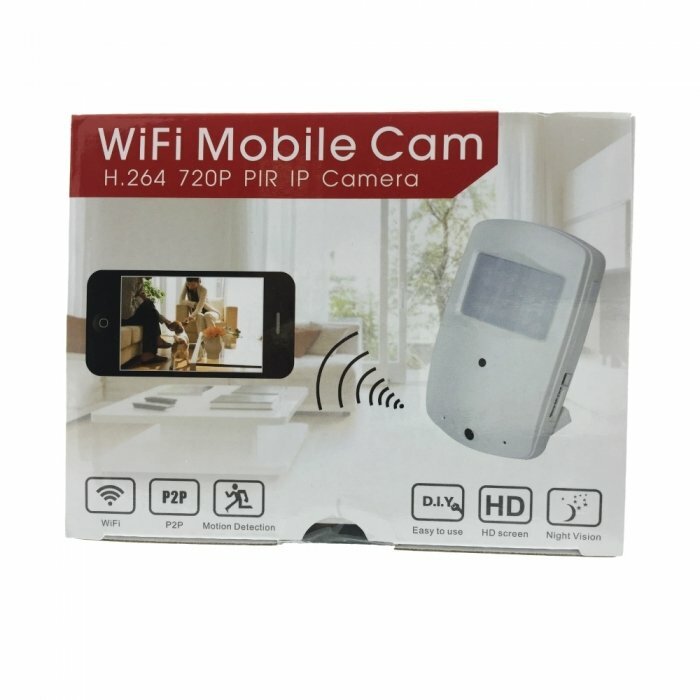 Works not only as a WiFi IP camera, this mobile cam allows added access to footage without WiFi internet for up to 100 meters! 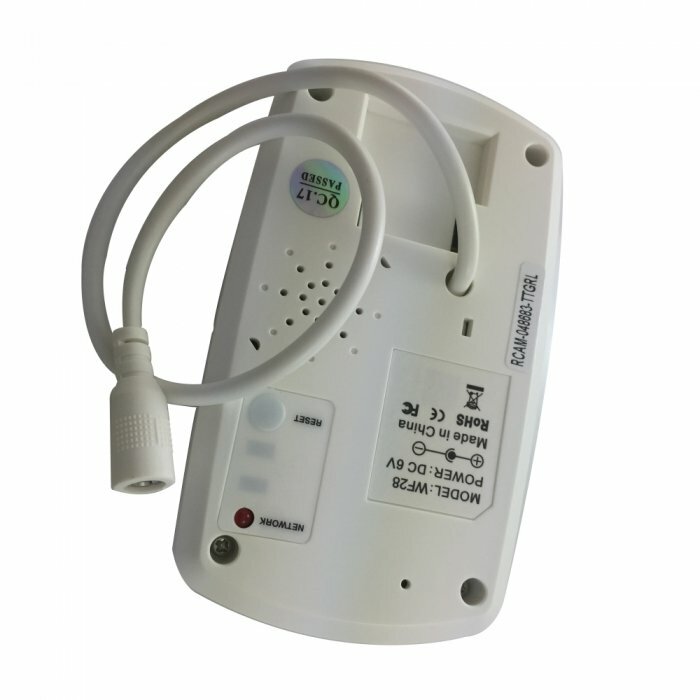 As an optional extra, push alarm upon motion detection is available. 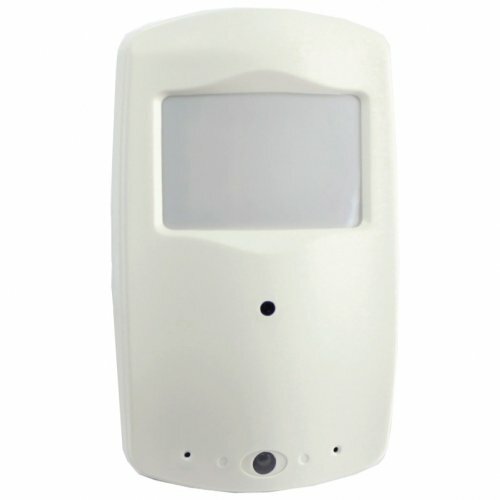 This advanced DVR with built-in night vision is loaded with features and looks just like a passive infrared motion sensor, so it will blend in anywhere in a home or business. It records video in high definition (a resolution of 1280 x 720) to the micro SD card (not included, works with up to 32GB micro SD card). It is powered by AC power so you don't have to recharge it (an adapter with six feet of cord is included). It has night vision so it can record in the dark and a motion detector so it can be set to record only when there is motion with a pre-motion trigger which will save the three seconds before the motion started and the three seconds after the motion has stopped. Measurements: 4 x 2 and seven-sixteenths x 1 and one-eight inches. 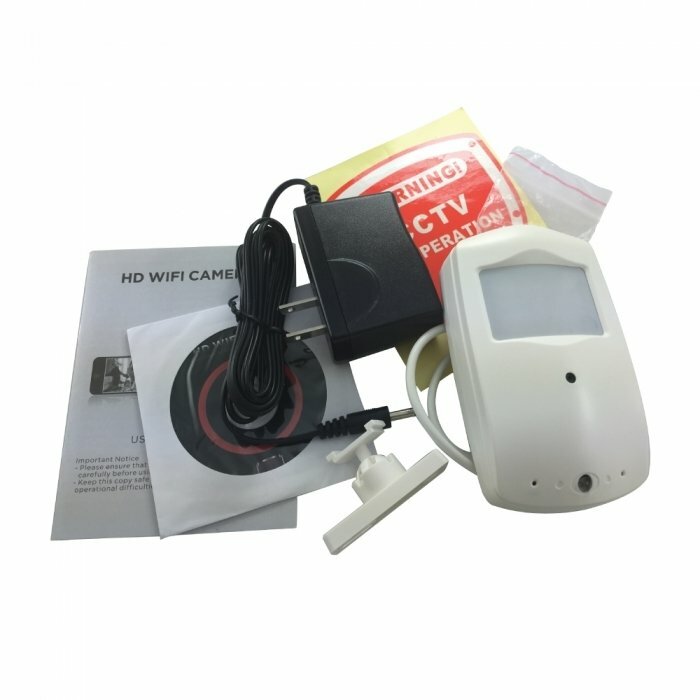 **Please note that it is the responsibility of the customer to check all State, Local and Federal Laws governing the use of video Spy (hidden) cameras (with or without audio) before ordering and/or using hidden or covert video and/or audio surveillance equipment.